← Black Friday iOS App Deals! Are you aware of Read & Write app for Google Docs? “Also called mobile apps, it is a term used to describe Internet applications that run on smartphones and other mobile devices. Mobile applications usually help users by connecting them to Internet services more commonly accessed on desktop or notebook computers, or help them by making it easier to use the Internet on their portable devices. A mobile app may be a mobile Web site bookmarking utility, a mobile-based instant messaging client, Gmail for mobile, and many other applications.” (Retrieved Nov. 23, 2012 from http://www.webopedia.com/TERM/M/mobile_application.html) . So, Read & Write extension for Google Chrome is also considered an app! So what’s the big deal about Read & Write app for Google Chrome? If you are a Google school and students with learning disabilities are using Google docs, or if your school is rolling out Chromebooks you will want to know about this free “app” that can help support struggling readers and writers. Word prediction is not yet available in the Read & Write Google Docs app. Selecting text allows text to speech with dual highlighting. Picture and regular dictionary available. Text to speech allows the dictionary text be read aloud. 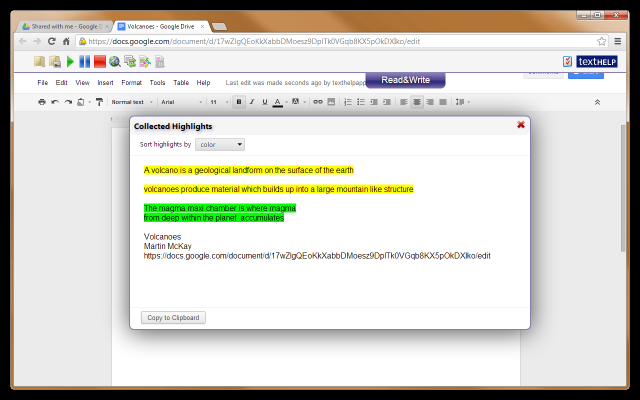 Highlighting tools are available and can be extracted and copied to another document. 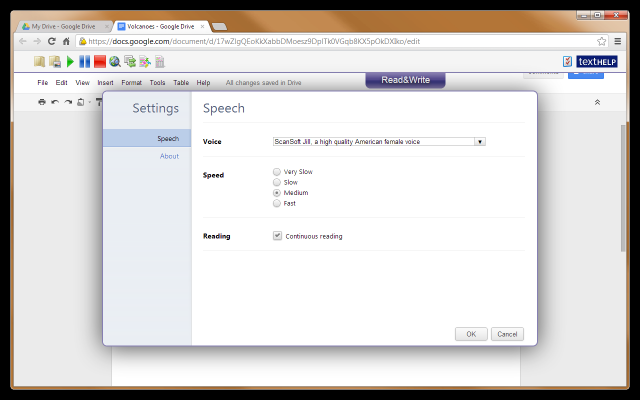 Basic tools for text to speech are available. To trial Read & Write for Google Docs, download Google Chrome browser to your desktop computer. 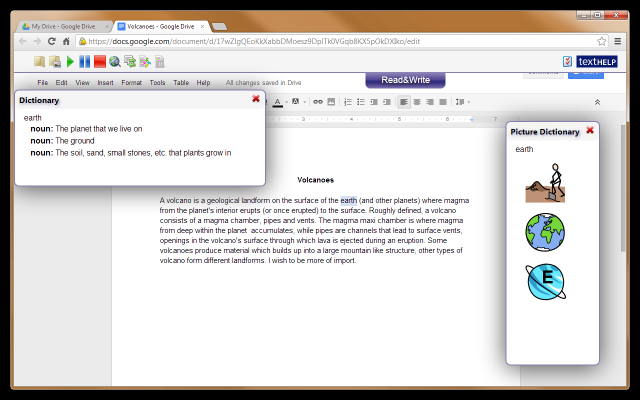 Log into your Google Drive account and search in the Google Chrome Store for Texthelp, Read & Write or text to speech. Add Read & Write app as an option to your Google Drive app. 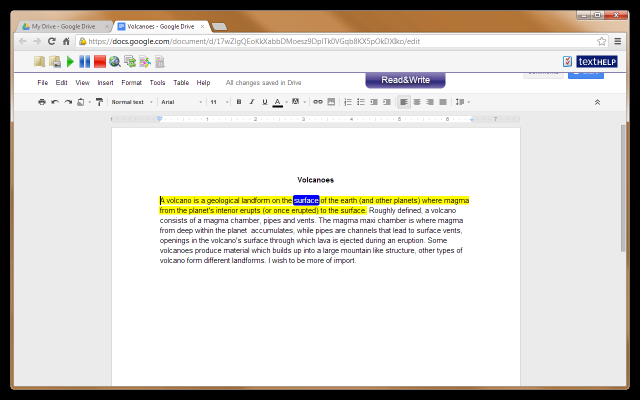 The Read & Write tool bar will be available in Google Docs. The tool bar collapses and expands by tapping the tab as shown in the above images of the app in Google docs. A great support for students using Google Chrome and Google Docs in or out of school. 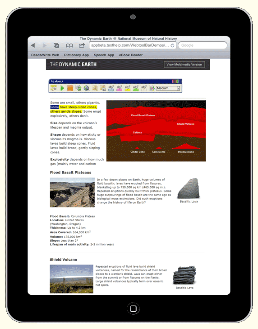 Texthelp has developed a web-based app for use on the iPad with a current version of Read & Write and a paid maintenance plan. Visit the Texthelp website for more information on the web apps or trial the mobile device version of Read & Write version 10. While attending Closing the Gap conference in October 2012, I was able to listen to the developer of Read & Write. More plans for expanding the features of the Google app including word prediction are projected for next year. Whether it remains free is a question! As a Google school, I find this a great support as we venture into new territory that was known to not be accessibility friendly! It is an interesting time with many shifts (it seems like seismic shifts!) and changes with operating systems, web-based tools, a variety of mobile devices and apps seemingly occurring daily. Trying to keep up with supports for access methods for individuals with disabilities is definitely a challenge! Is this app in your OT mobile Tool Kit or does it need to be if you have clients or students who are Google users? More to come on Google apps that support individuals with disabilities! This entry was posted in Accessibility, Adults with LD, App Reviews, Apps for OT's, Apps for Special Needs, Google Docs, Learning Disability, Occupational Therapy, Post secondary, Text to Speech and tagged Accessibility, Google Docs, Learning Disability, occupational therapy, OT Apps, Text to Speech. Bookmark the permalink.